This list is based on the survey conducted by The Mobile Indian for the month of January. Finding a suitable mobile phone for oneself is very difficult these days as there are a number of handsets in the market which offer similar features. Sometimes people often find it difficult to zero in on few handsets as there are dozens of mobile phones with similar features. To address this situation The Mobile Indian comes up with a list of Top 25 handsets every month to help users get insight into what people are searching for. According to The Handset Hotlist, 11 of the 25 most sought-after mobile handset models are from Nokia. 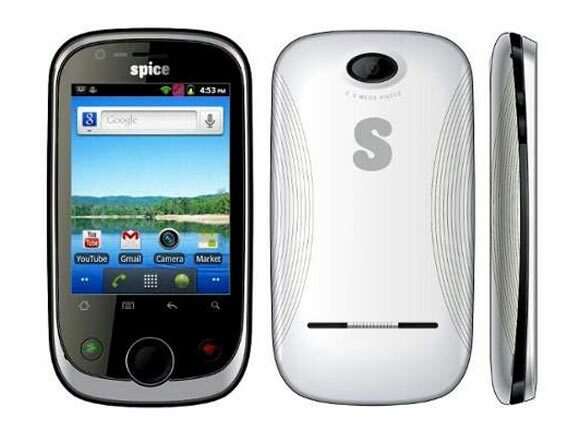 Samsung follows with eight; Sony Ericsson and Micromax have two each; while LG and Spice have one model each. 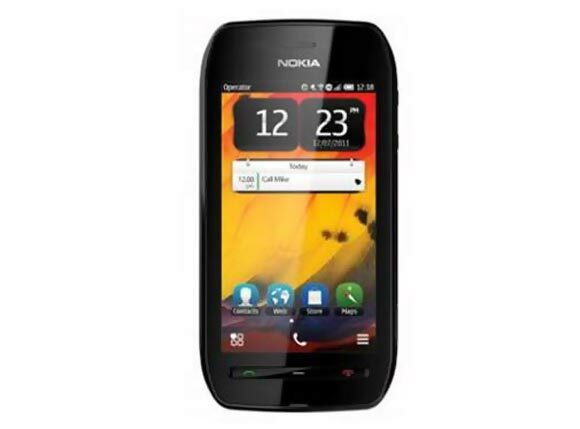 Nokia C5-03 is a mid-range Symbian smartphone offering a 3.2 inch resistive touch screen, 5 megapixel camera, WiFi, A-GPS and micro SDHC card slot. It looks similar to 5800 XpressMusic but has more feature than it. On the connectivity front, Nokia C5-03 supports GPRS, EDGE, 3G, WiFi and Bluetooth. Users can also charge mobile via the USB port. A 3.5mm audio jack is also provided to attach your favorite headphones. 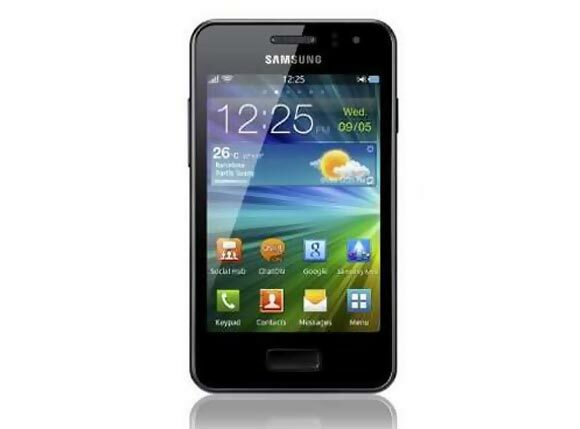 The Samsung Galaxy Y is a good candidate for someone's first Android smartphone. It runs on 2.3 Gingerbread, and has a 3 inch QVGA display. It also supports WiFi, GPS, Bluetooth, 3.5mm headset jack, 2 MP camera, 830 MHz processor, 180 MB of internal memory and micro SD card support. Are you a gadget/gaming wizard/afficianado? Would you like to write on gadgets, gaming, the Internet, software technologies, OSs and the works for us? Send us a sample of your writing to gadgetsandgaming@rediffmail.com with the subject as 'I'm a tech wizard/afficianado' and we will get in touch with you. 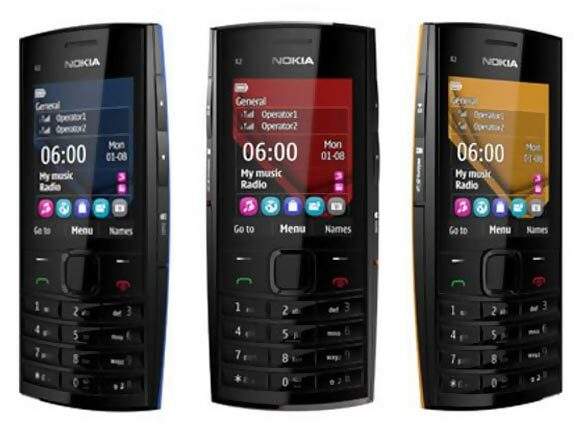 The Nokia C6 comes with a slide-out Qwerty keypad, 3.2 inch touchscreen display, 3G connectivity, 5 megapixel camera, Bluetooth, WiFi and 16 GB expendable memory. It also comes with Ovi Maps 3.3 Touch preinstalled (the rebranded Nokia Maps). 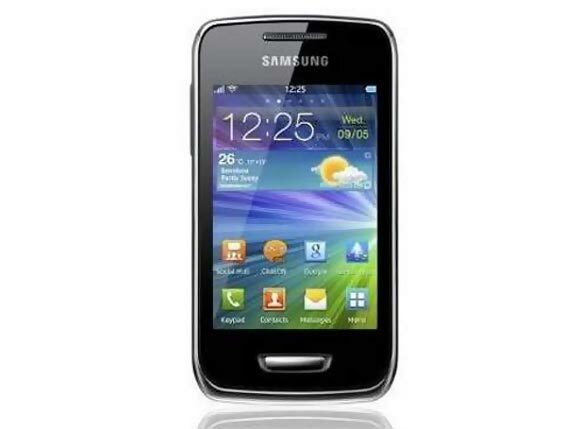 The Samsung I9003 Galaxy S runs on Android 2.3 and has a 4 inch LCD capacitive touchscreen of WVGA (480 x 800 pixel) resolution. It has a 5 MP autofocus camera with face, smile and blink detection. The Galaxy SL supports GSM and EDGE network and offers WiFi, Bluetooth and USB connectivity. Besides, it has an internal storage of 16 GB which can further be extended upto 32 GB through a microSD card. 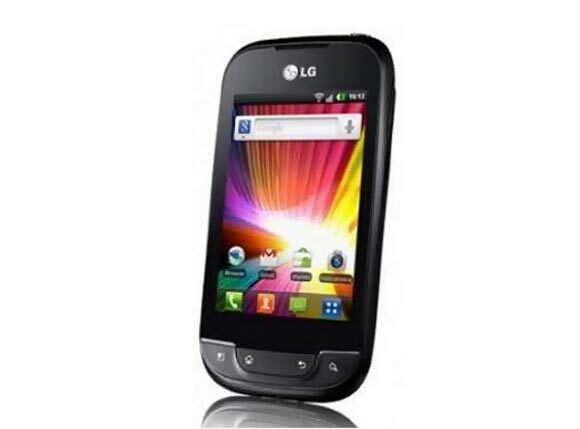 The LG Optimus Net has a 3.2 inch TFT display featuring a 320 x 480 pixel resolution. The phone runs on Android 2.3 Gingerbread operating system that is powered by a 800 Mhz processor. Besides, it has 3 megapixel rear camera, 32 GB expandable memory slot, WiFi, 3G, Bluetooth and a 3.5 mm jack. The capacitive touchscreen bearing handset has 1500 mAh battery that according to LG provides 12 hours of talktime. 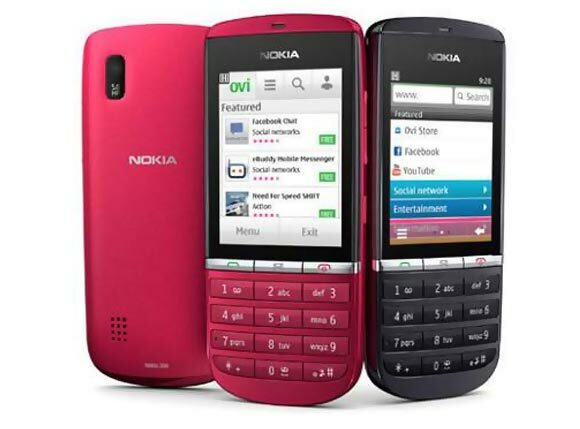 Nokia dual SIM handset, Asha 200 comes with a Qwerty keypad with a 2.4 inch TFT display screen with resolution of 320 x 240 pixels. Asha 200 comes with 2 megapixel camera with 4x digital zoom and has features like self timer, still image editor for capturing your best pictures. Asha 200 has expandable memory up to 32 GB as well. You can stay connected to the Internet through GPRS and EDGE facility. Connectivity options like Bluetooth and USB port are also provided in the handset. 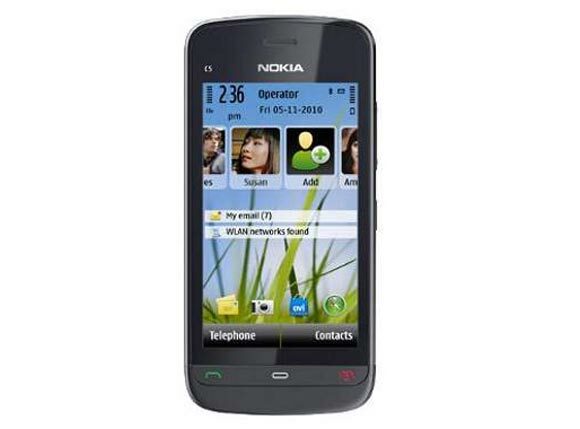 Nokia 603 has a 3.5 inch ClearBlack, scratch-resistant display, which is optimised for use in sunlight. 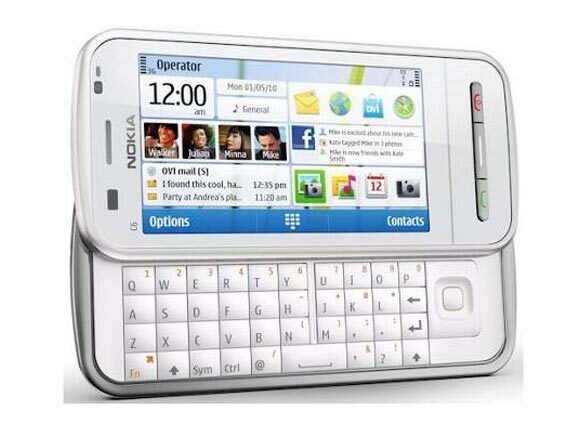 It is powered by a 1 GHz processor that runs its Symbian Belle operating system. The phone is 3G enabled and comes with 5 MP camera with technologies like red eye deduction, geo-tagging, and face recognition. This is the first smartphone to have an internal FM radio antenna, which means you will not need headset to play FM. Connectivity features like WiFi, Bluetooth v3.0, NFC and USB 2.0 are all present and so is A-GPS for navigation along with Nokia Maps. 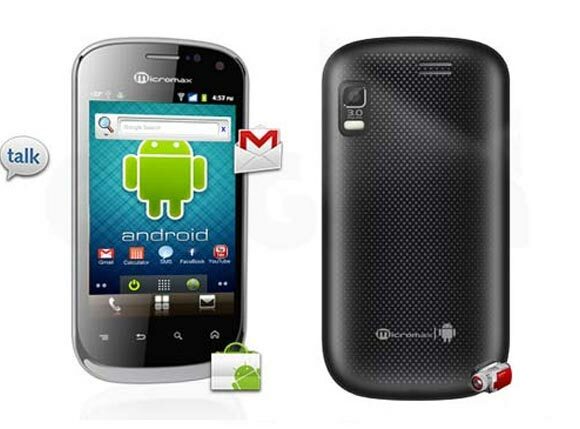 This is a dual SIM Android smartphone with Android 2.3 Gingerbread operating system and a 650 Mhz processor. It comes with a 3.75 inch HVGA capacitive touchscreen, 3 megapixel back camera with LED flash, and a 0.3 megapixel front camera for video chat. Besides, this 3G smartphone has WiFi, WiFi hotspot feature, Bluetooth, FM radio, 32 GB expandable memory slot, AGPS, and preloaded applications like Gtalk, WhatsApp and Yahoo Messenger. The slim handset supports the gravity sensor and a CMOS sensor as well. 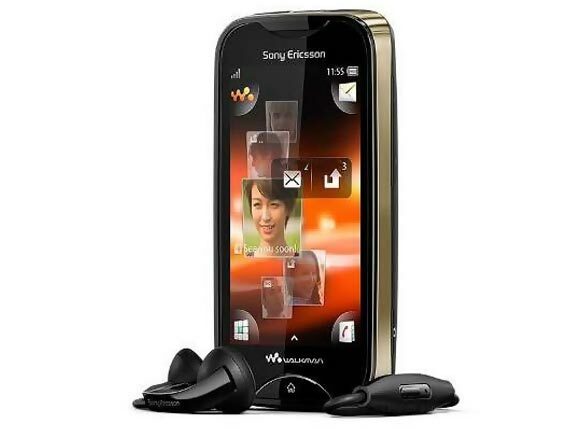 The Sony Ericsson W8 Walkman phone combines Walkman functionality with smartphone fundamentals such as apps, maps and email to create the most entertaining smartphones. 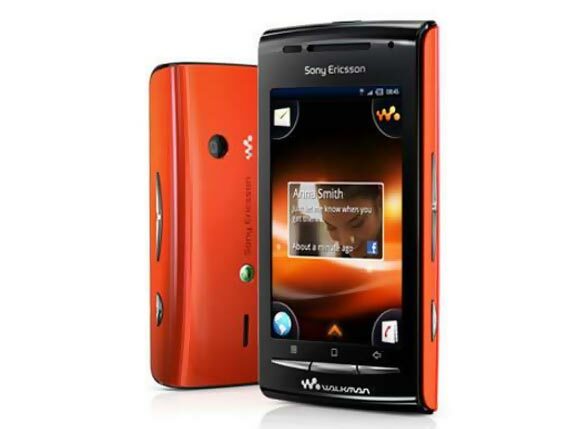 The W8 comes with Android 2.1 OS with Sony Ericsson's Timescape user interface. The 3 inch LCD display comes with a resolution of 320 x 480 pixels. The W8 will feature a 600 MHz processor along with a dedicated Adreno 200 graphics engine. In terms of connectivity, USB, Bluetooth, WiFi, and 3G are offered. 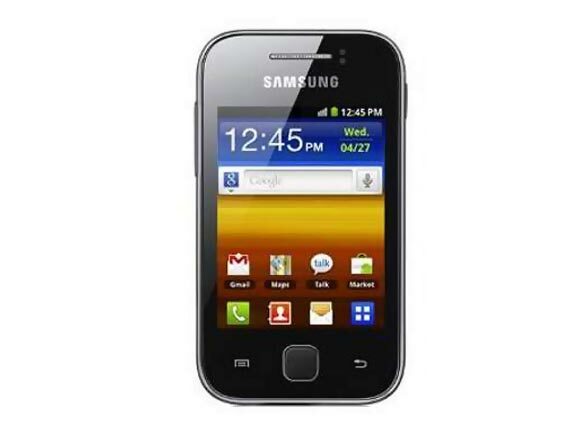 The Samsung Galaxy Ace S5830 has a 3.5 inch capacitive touchscreen display of HVGA resolution. It runs on Android 2.2, and has an 800 processor. Galaxy Ace Samsung S5830 has a 5 megapixel camera at the rear and supports 3G, WiFi, and Bluetooth. Micro USB, 3.5mm jack and a GPS receiver are also on board. Samsung Hero Music E1232B is an affordable mobile phone with dual SIM GSM support. It supports music player and FM Radio. It does not have any camera. It features a 1.8 inch TFT display, up to 4 GB of external memory support, Bluetooth connectivity and 1000 mAh battery. This Bada 2.0 operating system based smartphone comes with a 3.65 inch capacitive touchscreen with an 832 MHz processor. The Wave MS7250 has a 5 megapixel back camera with LED flash besides a 0.3 megapixel front camera for video chat. Like many of its cousins, this smartphone comes with Samsung's propriety TouchWiz user interface. 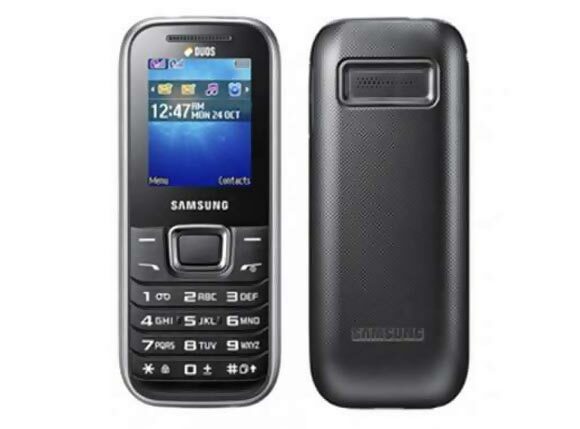 Besides, Samsung Wave M S7250 has WiFi, 32 GB expandable memory, FM, Bluetooth, WiFi hotspot, 3.5 mm jack, A-GPS, push mail facility, accelerometer and proximity sensors. Samsung C3330 Champ 2 is a GSM phone. 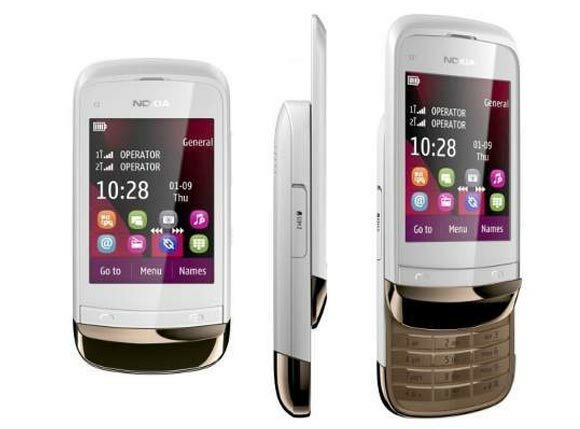 This phone includes 2 megapixel camera, Bluetooth, micro USB, social network apps, FM radio and music player. 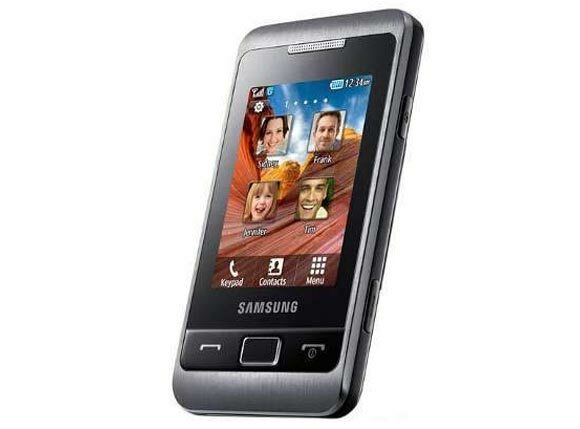 Samsung C3330 Champ 2 comes in several colours as well. It is equipped with a Standard 1000 mAh Li-on battery and has also capability of FM Recording as well. 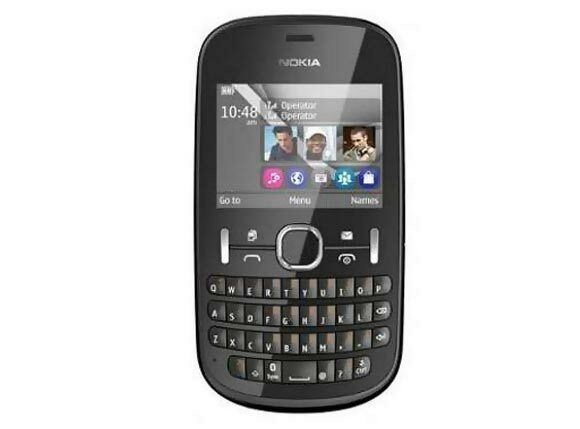 The Nokia C2-06 is a dual SIM Touch and Type mobile phone. It is a 2G device sporting a resistive touchscreen display, a 2 MP camera, video player, music player, audio jack and up to 32 GB external memory support. It also supports Bluetooth, USB data connectivity. 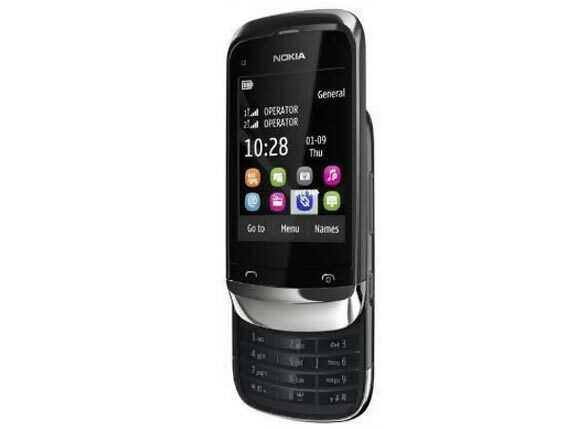 The Nokia C2 03 is a dual SIM phone with a 2.6 inch TFT- LCD display. This slider Touch and Type device is based on Nokia's S40 operating system. It remembers up to 5 SIM cards settings and comes with easy to swap SIM feature. It sports a 2 MP camera, video recording, music player, jack, and can play music up to 35 hours. Nokia C2 03 comes with 10 MB onboard memory which can be expanded up to 32 GB to store your photos, videos and music files. This Samsung phone runs Bada v2.0 operating system on a 832 MHz processor. The single SIM Wave Y S5380 can be used on both 2G and 3G networks. It comes with a 3.2 inch TFT capacitive touchscreen with 2 MP rear camera, FM, 32 GB expandable memory, WiFi, Bluetooth 3.0 and A-GPS. Wave Y has Samsung's propriety TouchWiz user interface with ChatOn application. Its 1200 mAh Li-Ion battery promises talk time of 13 hours on 2G and 4 hours on 3G networks. Besides, it has accelerometer and proximity sensors for better gaming experience. 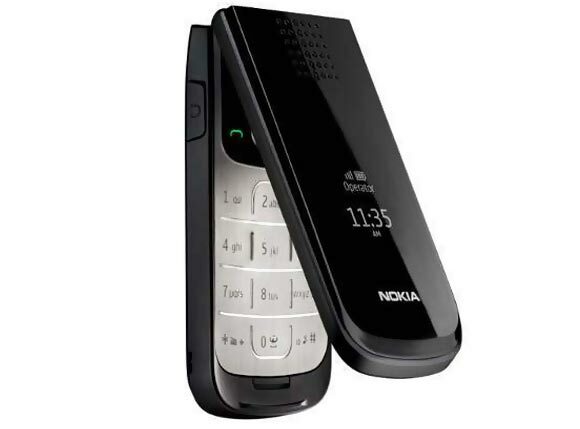 This clamshell GSM phone by Nokia offers text and multimedia messaging, instant messaging, and WAP browsing. The phone comes preloaded with six Java games, including Tetris, Pacman and The Oregon Trail. The 2720 features a 1.36 inch black and white external display which shows the caller ID and time and lets you know if the keypad is locked or not. It sports a 2.5 mm headphone jack. The Nokia 2720 opens up to reveal a 1.8 inch screen with 128 x 160-pixel resolution capable of rendering 65,000 colours. The 2720 sports a 1.3 megapixel camera, without a flash. 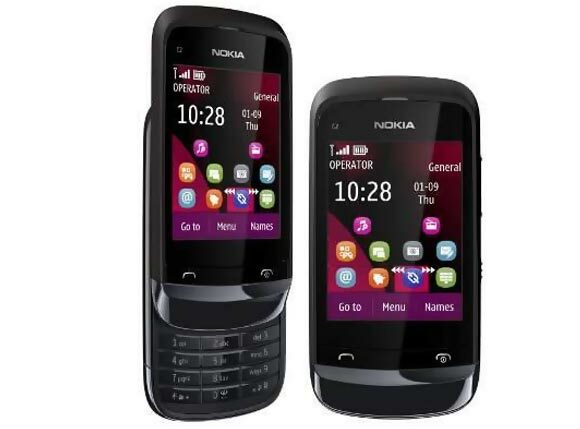 Nokia Asha 300 features a touchscreen and an alpha numeric key pad. It has a 1 GHz processor and is 3G ready. It comes with a 5 megapixel camera with video. It also feature music player, FM radio, Bluetooth and memory card capacity of up to 32 GB.It weighs in at 85g and measures a sleek 112.8mm x 49.5mm x 12.7mm and boasts talk time of 6.9 hours and 22 days stand by time. 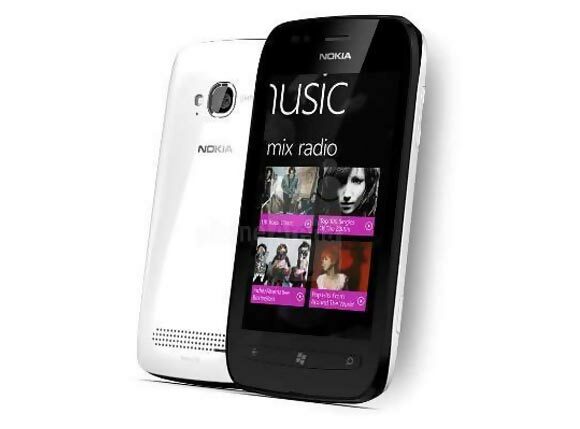 Nokia X2 02 is based on Series 40 operating system. The alpha-numeric keypad based handset comes with 2 megapixel rear camera, 2.2 inch TFT screen, FM radio with recording facility, 32 GB expandable memory slot, GPRS and EDGE. This dual SIM handset has a 1020 mAh battery that according to Nokia provides talktime of 10 hours and 443 hours of standby time. It has Bluetooth and USB port for data exchange as well. The Nokia C2-02 is a touch and type phone with a 2.6 inch resistive touchscreen with a resolution of 240 x 320 pixels and an alpha numeric keypad. It features Push Mail, Facebook and Twitter, Gtalk. There is also a 2 megapixel camera. A 1020 mAh Li-Ion battery powers this Nokia phone. This device has an internal memory of 10 MB which is expandable up to 32 GB using microSD cards. The Nokia C2-02 has a full-fledged music player that supports various formats such as AMR, MIDI, MP3, AAC and WAV (ADPCM, PCM) as well as a stereo FM radio with recording feature. The phone also supports GPRS and EDGE as well as Bluetooth and a microUSB port for connectivity. Micromax A70 features a bigger 3.2 inch capacitive touch screen with 320X480 pixels and is the successor to the Andro A60. The A70 runs Android v2.2 (Froyo) OS running on a 600 MHz processor. 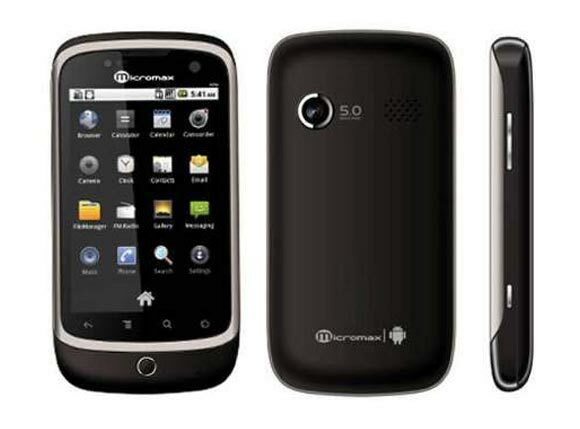 The Micromax A70 houses a 5 megapixel camera on the rear and a VGA camera on the front. The Micromax A70 is powered by a 1450 mAh battery that gives a talktime of 4 hours. The internal memory of 160 MB can be expanded up to 32 GB with a micro SD card. The A70 is preloaded with Opera Mini web browser and can access the Internet through GPRS, EDGE, 3G and WiFi networks. The device is preloaded with Micromax's recently launched app store - M! Apps. 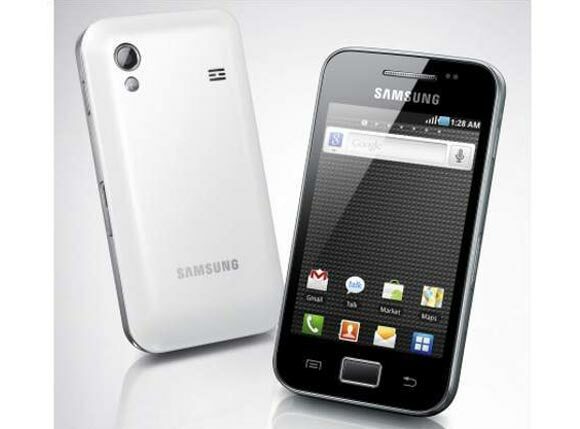 This the second version of the very successful Star series of Samsung. 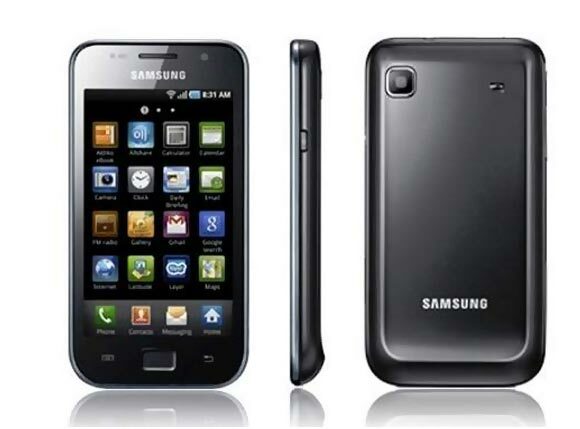 The Star II Duos C6712 is a dual SIM (GSM + GSM) mobile phone from Samsung in a candy bar form factor. The full touchscreen handset features a 3.14-inch TFT display with resolution of 240 x 400 pixels. The device uses the third version of the Samsung's proprietary TouchWiz UI. The phone sports a 3.2 megapixel camera that can also shoot videos. 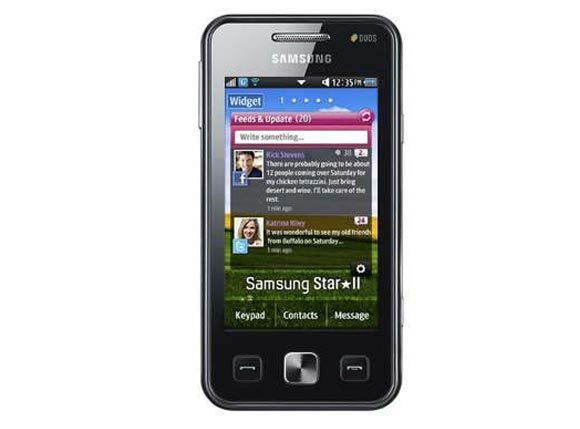 The Samsung Star II Duos features a FM Radio with recording capability besides music and video players. You can access Internet on this Samsung mobile device through EDGE, GPRS and WiFi. File transferring can be done via Bluetooth and USB. The Lumia 710 sports a 3.7-inch TFT LCD touchscreen display screen with 480 x 800 pixel of resolution and runs on Windows Phone 7.5 (Mango) OS. It comes with a 1.4 GHz Qualcomm Scorpion Processor with 512 MB RAM and has Adreno 205 GPU. Nokia Lumia offers a 5 megapixel camera lens with LED flash light. This helps you to click images and record HD videos. It supports 4x digital focus and 3x video zoom. The handset records HD videos with 1280 x 720 pixel resolution at 30 fps. Other camera features like Geo-Tagging, touch focus, continuous auto focus, exposure compensation, auto and manual white balance and image editor provides better quality images. Lumia with its 1300 mAh Li-Ion battery claims to provide a talk time up to six hours in 2G and seven hours on 3G. The phone has an inbuilt memory of up to 8 GB which helps you store files of your choice. This phone has also made to our top five Wi-Fi phones below Rs 6,000. Mi 280 is not the cheapest WiFi phone, but it is the cheapest to have a front facing camera for video chat and this means you can use your WiFi connection for video chats as well as for browsing the internet and for other data services. The phone is based on Android 2.3 and has a 2.8 inch full touchscreen. Also, there is one 650 MHzprocessor coupled with a 200 MHz graphics processor. You can expand its memory up to 32 GB through an external card. The phone, in addition, has other Android goodies like push mail, A-GPS, 3G, Bluetooth, USB etc. At Rs 5,300, Spice Mi 280 is really one of the cheapest phones with these many features. There are cheaper Android phones with similar features like Micromax Andro A60 at Rs 4,400 and Karbonn A1, but they all lack a front facing camera. This is the non Android Walkman series phone of Sony Ericsson. It is a full touchscreen phone and runs on Sony Ericsson platform with a user interface similar to Xperia Mini range and has 64 MB RAM. This music phone from Sony has a 3-inch TFT screen with a resolution of 400 x 240 pixels. The Mix Walkman phone has a 3.15 megapixel camera. It has an internal memory of 256 MB which is expandable up to 32 GB. Connectivity options include GPRS, EDGE, Bluetooth and WiFi.